Nintendo: Does My Game Controller Even Need a Screen?! Nintendo made the rumors of their next console official through a brief press release published on April 25th. They did not expand on the life of the console beyond its existence, the fact that it will launch in 2012 and be playable at this year’s E3. That means the rumors about the controllers with screens in their faces remain entirely possible. Which made the editors here at TechnoBuffalo wonder: do we even need screens in our controllers? We’ve been here before. Really, we have. Sega released the Dreamcast more than ten years ago. Among its roster of solid hardware specs and accessories were devices labelled VMUs in North America. That’s Visual Memory Units. Basically, as you can see in the picture on the right, the VMUs were tiny controllers with screens on them. They acted as playable memory cards that slid into the top of the Dreamcast controllers and locked into place. Then, for certain games, users could remove their VMUs and play mini-games or collect stats on the go. The Dreamcast was the last system Sega ever built. And the VMUs became a footnote on the bottom of the Dreamcast’s legacy. 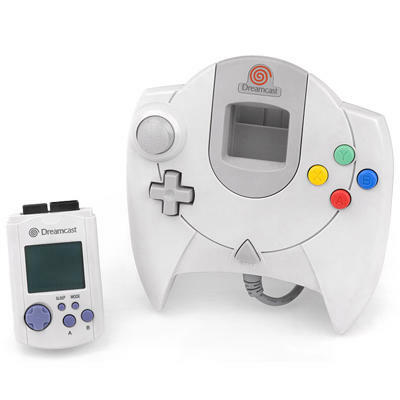 This was a console that introduced several unique ideas to the gaming industry, the VMU being one of the weakest among them. And this is where we step into the realm of opinion. The screens on the Dreamcast controllers were useless. Sure, the mini-games they were capable of playing were okay, but the devices themselves were an absolute waste of money when they were plugged into the controllers. I absolutely hated the concept of looking down at my pad while playing games on my TV. And that could be what Nintendo’s suggesting we do with their new system. That’s what bugs me. I’m a fan of every console manufacturing company alive today, that’s the truth. I find myself exceptionally grateful for being able to say that I own and play hardware from each branch of the gaming tree. With that in mind, I’ll safely say that I’m starting to hate the direction Nintendo’s running towards. They’ve entered into this notion that they have to introduce hardware based on principles of innovation. Starting with the Wii, Nintendo’sintroduced radical methods of control and display into both of their new launches. Motion control for the Wii, 3D for the 3DS. Now, Project Cafe, as its rumored to be codenamed, may sport controllers with large, vibrant screens jammed onto their faces. Why? Are we just being gimicked into the “next big thing” from Ninendo? Is this just another attempt to wow us out of the gates and then underwhelm us with a lackluster launch lineup and less than stellar playability? The 3D on the 3DS isn’t perfect, the motion control on the Wii at launch wasn’t 1:1 and now the small screens on Nintendo’s latest may serve as little more than a distraction. I’ll save myself from diving off a cliff before it’s too late. Nintendo could take the stage at E3 with these new controllers and absolutely blow my mind into a million tiny, bloody pieces. I’d love for that to happen. Or, heck, they could take the stage and show us controllers without screens. I honestly don’t know. One could argue that a lot of mankind’s greatest innovations came without users knowing they needed them: the microwave, tablets and cell phones, for example. At the dawn of cooking, writing and communication, we probably never even considered devices like these. And now, here we stand, incapable of imagining a world without them. In the face of skepticism stands the chance for Nintendo to shock the world. Let’s hope they do.